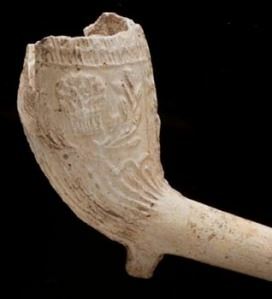 English and Dutch manufactured smoking pipes dating back to the 1600s were among the artifacts uncovered during the archaeological dig before the construction of the South Ferry Terminal began. Nineteen of these pipes will be featured in an upcoming exhibition at the New York Transit Museum’s Gallery Annex in Grand Central Terminal in mid-town Manhattan. For more details on the pipes click here.